Your method of communicating with your townspeople may be by paid advertisement, posters or word of mouth. The idea is to get your message out. When communicating with your local newspaper it is best to send it to the reporter that handles your area and remember to send a follow-up letter after the article appears thanking him or her for printing your article. Many of the newspaper prefer that you send your article to them electronically. Here in the 21st Century, e-mail and the Internet are fast replacing the “written word”. 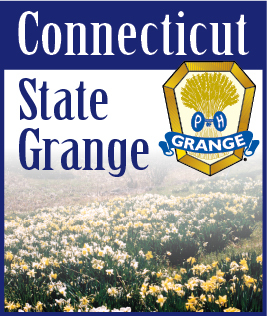 Your State Information/Publicity Committee would like to compile an e-mail listing of the Granges in the State. We would especially like to have the e-mail address of the Master, Secretary and Publicity/Information Chairman. You can e-mail me a message with your name, Grange and office to mbcb76@cox.net. The State Committee will be sending out information during this month to the Publicity/Information Chairman of each of the Granges. We hope to be able to start a dialog between the Granges and the State Committee.